The UFC 234 held at the Rod Laver Arena in Melbourne witnessed the former middleweight kingpin, Anderson Silva officially passing the torch to future rising contender, Israel Adesanya. This weekend, the new breed faces the slightly older breed inside The Talking Stick Resort & Casino in Phoenix, Arizona as Cain Velasquez is welcomed by Francis Ngannou to the octagon after a 2.5 year gap in the UFC. The co-main event will feature a hard-hitting lightweight showdown between Paul Felder and James Vick. 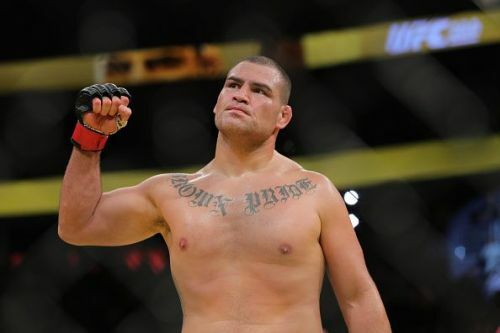 In the main event, former heavyweight champion Cain Velasquez is all set to return to the octagon against brutal knockout artist Francis Ngannou. Ngannou is considered as one of the most powerful punchers in the history of the UFC. The Cameroonian-born “Predator” has demolished six opponents in the UFC by knockout and is coming off a stunning 45-second victory against Curtis Blaydes. The Predator worked his way into title contention by winning six fights in a row under the UFC banner. In his career with the UFC, Ngannou has picked up first-round knockout wins over UFC heavyweight champion Andrei Arlovski and Alistair Overeem in past. Every opponent should know that Francis’s one shot is enough to put them to sleep — including Velasquez. Despite being away from the octagon for 2.5 years, Cain Velasquez will look to prove that he continues to be a legitimate threat to the 265-pound crown by taking on former division title contender, Francis Ngannou. Velasquez has been one of the greatest heavyweight fighters of all time but injuries held him back, playing a role of his greatest rivals. When Velasquez was healthy, he simply demolished everyone in his path with dominant wins over notable UFC Fighters like Junior dos Santos, Travis Browne and Brock Lesnar. Paul Felder will finally meet James Vick in the co-main event after rescheduling prevented these two lightweights from clashing in the 2018. Felder has been on the end of some unfortunate scheduling in his last couple of fights. Instead of moaning, he took the opportunity to move up to welterweight and take on Mike Perry on short notice at UFC 220. Felder will have the opportunity to throw James off guard if he manages to mix calculated decisions as to when and where to strike, along with an unpredictable recklessness. Felder’s last year has been frustrating as most of his fights, similar to the fight against James Vick, fell through but a win here may make it all worth it. James Vick’s losses in few fights have left him mid-ranked but his clear technical and tactical development leaves him as a promising lightweight contender moving forward. The former Ultimate Fighter competitor has gone 9-2 in the lightweight division including wins over opponents such as Francisco Trinaldo and Joseph Duffy. Following a disappointing outing in his last fight against Justin Gaethje at UFC Fight Night 135, Vick is determined to start his climb back up the rankings with a win over Paul Felder this weekend. UFC News: Cain Velasquez to make move to WWE?